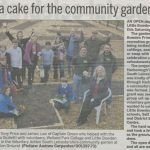 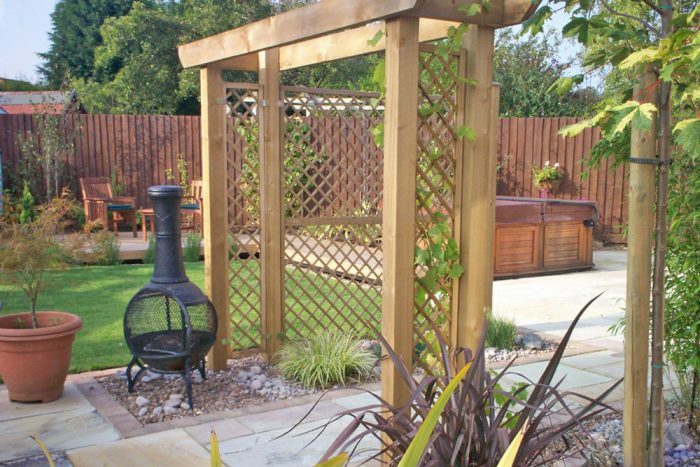 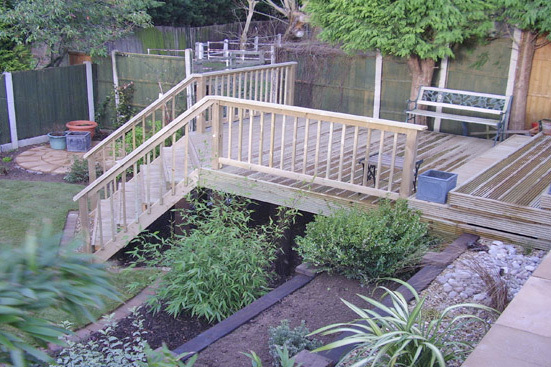 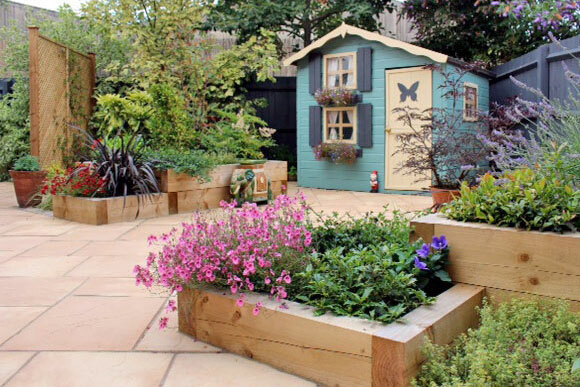 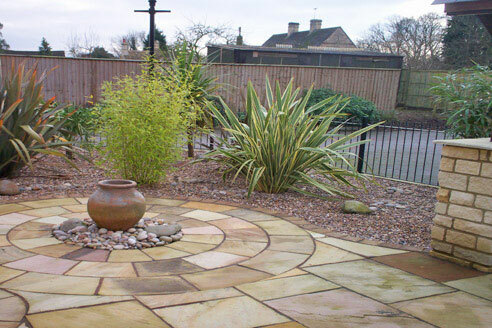 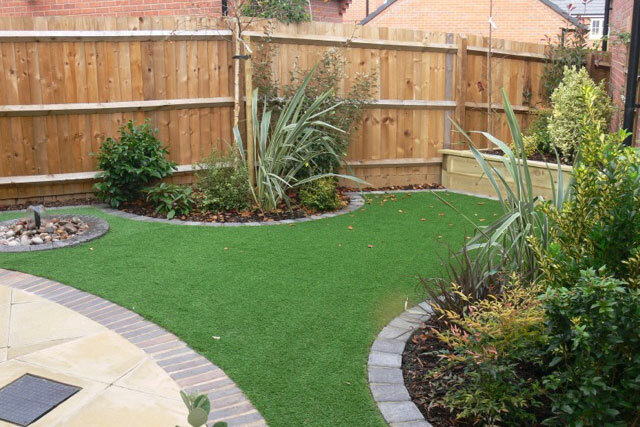 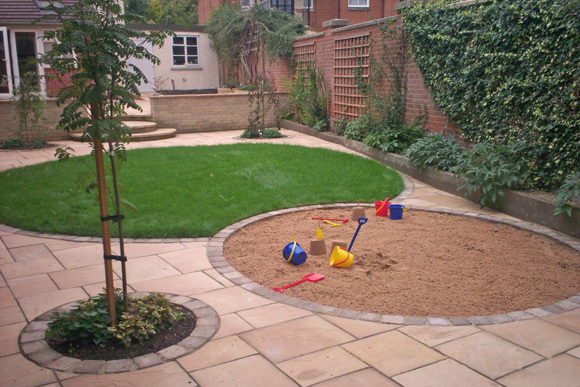 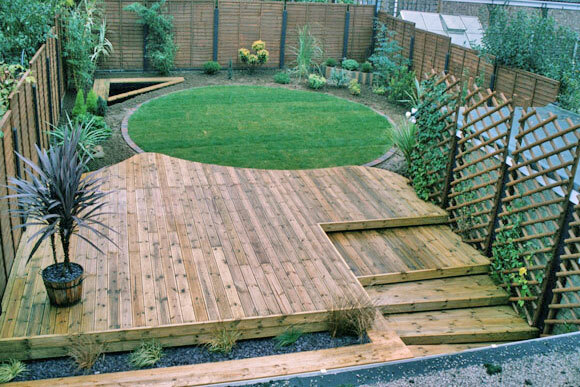 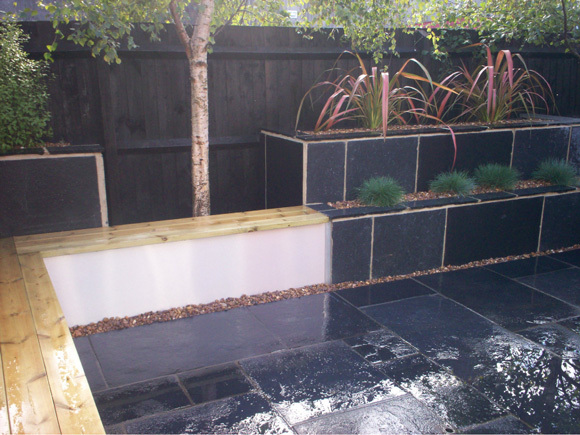 This garden benefits from taking indoor design to the outdoors, consisting of raised plant beds with symmetrical planting, clean sharp lines with integral timber seating cladded beneath with aluminium. 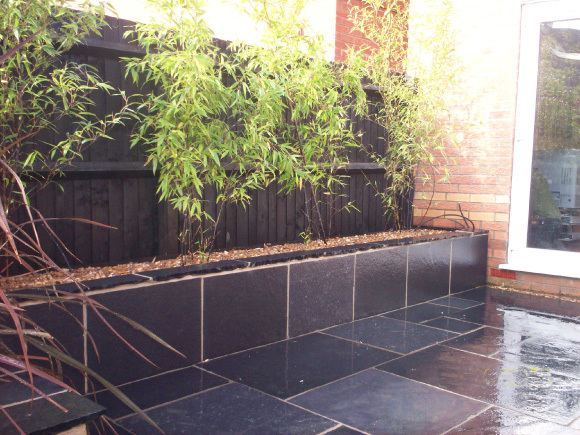 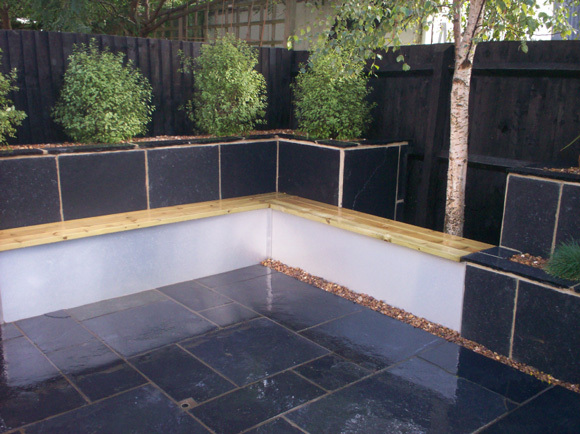 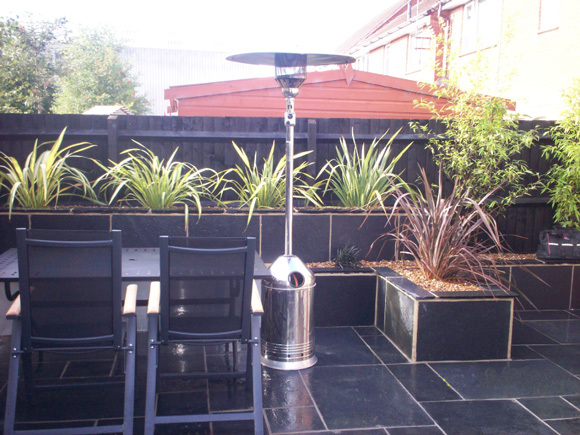 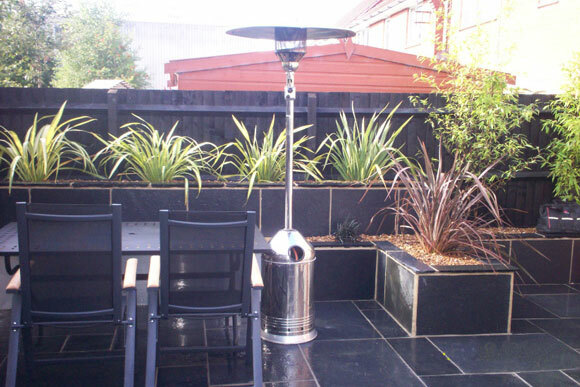 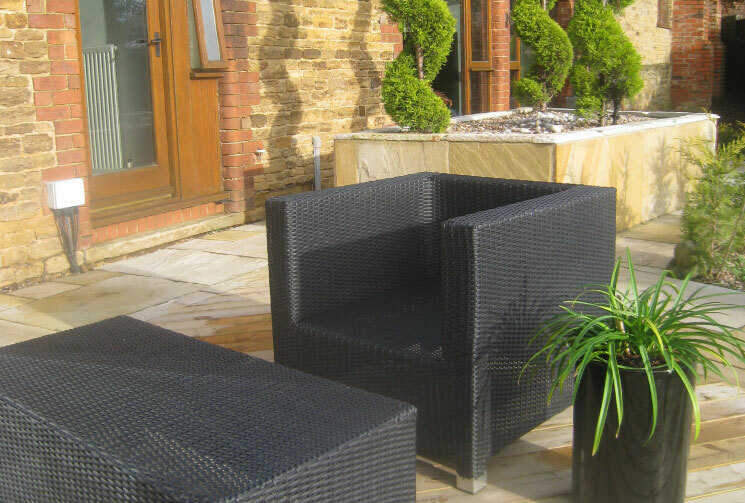 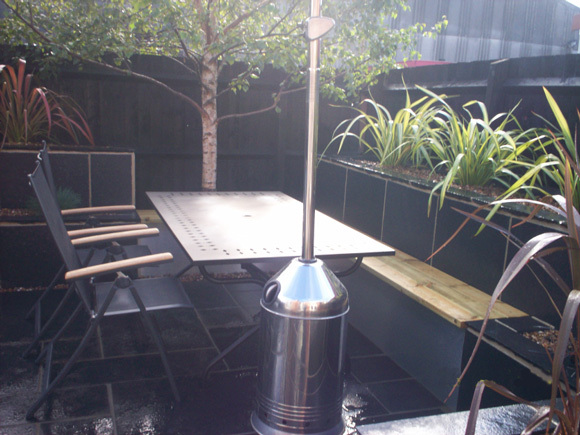 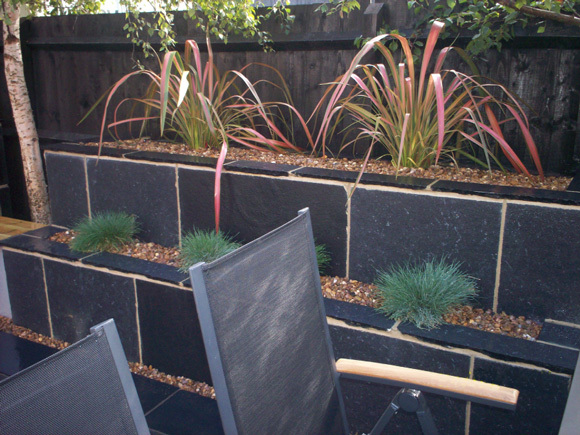 Remaining cladding in black Limestone to match terrace area with various sizes of flagstones. 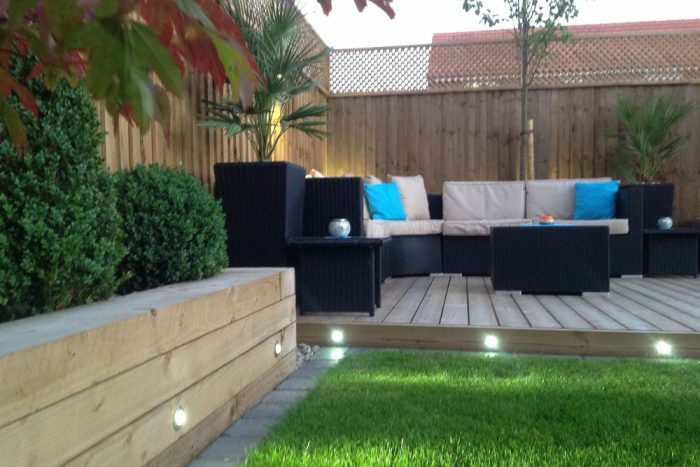 This garden has a different feel when darkness falls with several LED up-lighters within plant areas.